Ellie and I took a long walk on the morning of New Year’s Eve and stopped by the dragon at Irvington School on the way back. She rarely ventures that far anymore, though how much is from advancing age and how much from the warmer weather, I can’t say. 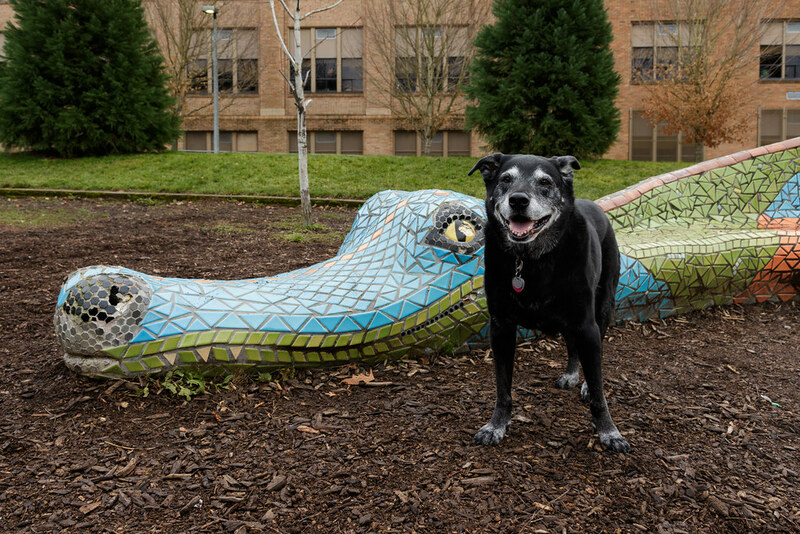 This entry was posted in Pets and tagged art, black lab, dog, dragon, Ellie, Irvington, Irvington School, Oregon, Portland, statue. Bookmark the permalink.